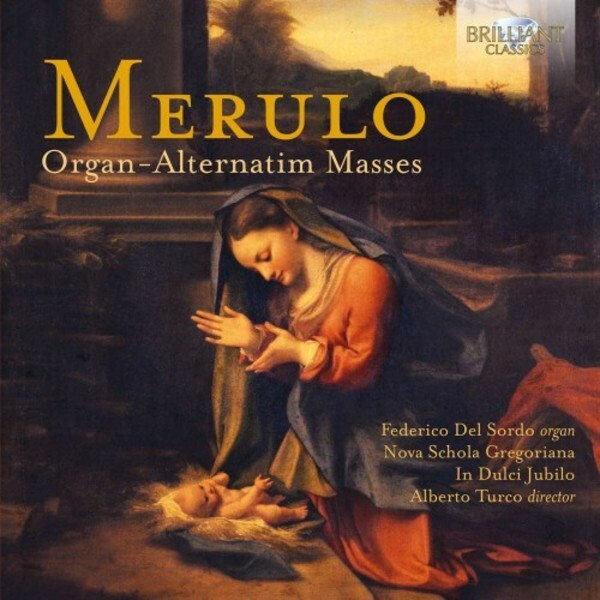 Though Federico del Sordo is joined by two Veronese choirs to impart coherence to these Mass settings, this release is all about the organ � both the particular instrument in question in Verona Cathedral, and Claudio Merulo�s mastery of the language fostered by such an instrument, its particular tuning and colours which are so far removed from the principles of the Gothic organ style prevalent ever since the time of Bach. What may sound to modern ears �out of tune� is the mean‐tone temperament which lends a golden, antique sheen to both celebratory flourishes and devotional reflections as each phrase of the Mass unfolds, with an archaic splendour all its own. Not least thanks to his longevity and prolific output of madrigals, masses and motets in the mature Venetian style, Claudio Merulo (1533‐1604) is the most‐extensively represented composer of his era on record, though mostly of shorter toccatas, canzoni and ricercari. These three Mass settings were published in 1568 and date from his 27‐year‐long tenure as master of music at the Basilica of St Mark�s in Venice, a post to which he had been appointed in 1557 at the tender age of 23, indicating the esteem in which he was already held by the Venetian musical establishment, and his music figured prominently in the exuberant musical celebrations of Venice�s military victory over the Turkish navy at Lepanto in 1571. After his death he was eulogised as the greatest keyboard musician of his age, and his keyboard style was the basis of further development by composers like Frescobaldi and Sweelinck. The organ masses alternate plainchant recitation of the text with freely elaborated fantasias on each statement or paragraph of the text; the surviving manuscripts are incomplete and have required careful reconstruction to recreate the magnificence of their original, intended effect among the Byzantine domes of St Mark�s, for which in this new recording the ample space of Verona�s 12th‐century Duomo stands as a more than adequate replacement. The cathedral�s main organ was built by Costanzo Antegnati (1565‐1606), and restored by Barth�l�my Formentelli in 1992. Previous recordings by Federico del Sordo on Brilliant Classics have included the works of Carlo Tessarini (BC94787), and sonatas by Veracini (BC94822).